io9's March TV Madness: Pick the greatest science fiction TV show ever made! 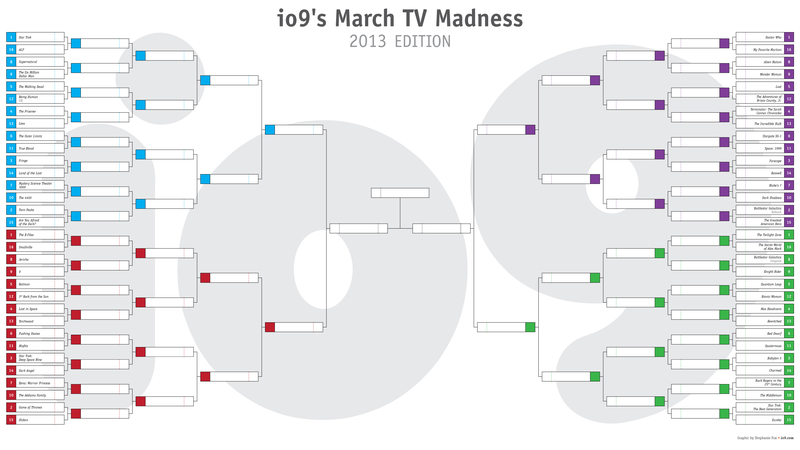 It's March, which means it's time once again for the most important tournament of our age: io9's March TV Madness. Yes, after crowning the best and worst sci-fi movies of all time, this year we turn our attention to television, as 64 of the best sci-fi and fantasy shows ever made square off in our bracket. It's time for you to decide which of these classics is the greatest of them all. Over the past week, the io9 selection committee has fiercely debated just which shows deserve a slot in our tournament. Our final list represents an eclectic array of legendary, iconic, beloved, and occasionally just plain weird shows from the sci-fi and fantasy genres, with a few crossover entries from the worlds of horror and superheroes thrown in. The bracket is huge, so click on it below to expand it (you can also view the embiggened bracket in all its glory by clicking here). Today, you're voting on half of the first round — the other half will be decided on Thursday. The polls can be found at the bottom of the post, and they will be open until midnight Pacific time. You can head on down to start voting, or you can read on for an explanation of just how we put together the bracket. 1. No Animated Shows. That's not a slight against all the amazing cartoons out there — indeed, there's a good chance they will be the subject of next year's bracket. But to keep this to a manageable 64 shows, we limited ourselves to live-action. 2. No Spin-Offs. This wasn't a hard and fast rule — the first three Star Trek shows are all on the bracket, for example. But in the interest of variety, we picked only one show to represent each fictional universe. So if you loved Caprica, vote for the BSG reboot. If Stargate Atlantis or Stargate Universe are your thing, then cast your ballot for Stargate SG-1. Any Millennium super-fans out there should throw their support behind The X-Files, and so on. 3. No Joss Whedon. After Serenity's controversial upset victory in our movie bracket a couple years ago, we decided that there's no show in the verse that can stand up to the legions of Buffy the Vampire Slayer and Firefly fans. That's why we're sending Buffy, Angel, Firefly, and Dollhouse into the much more exclusive Whedon Invitational Tournament, which will give the shows the chance to duke it for the title of Greatest Joss Whedon Show of Them All. We'll reveal the W.I.T. bracket a little later on in the tournament. 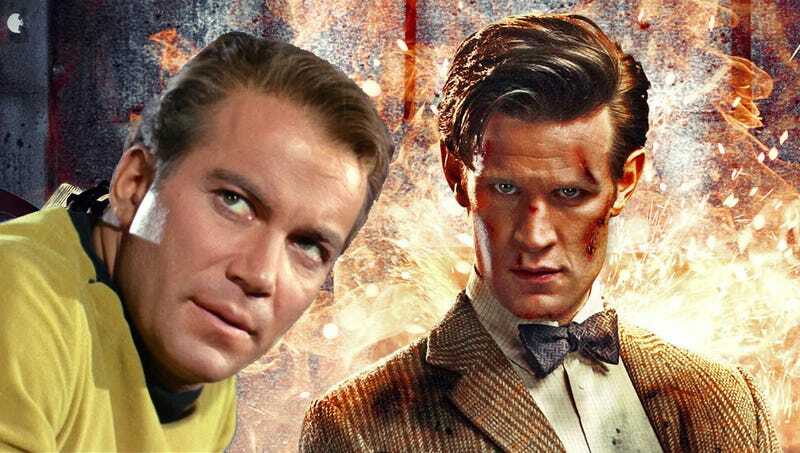 Generally speaking, we tried to hit a balance between a show's overall importance to the sci-fi and fantasy genres and its current place in pop culture — this meant that there were some older and non-American personal favorites (I'm still weeping over UFO, you guys) that we just couldn't find a place for. This also helped determine the seeding, but remember that a show's seed is just a starting point. If you think one of your favorite shows is ranked too low, make sure to vote for it and help make it the great underdog story of the tournament! So, without further ado, it's time to start voting! Polls will be open until midnight Pacific time tonight.